It is not like our blog to comment on individuals outside of Korean pop culture, but I have been unable to avert my eyes from the story of Yoo Byung-un. The more I dig the crazier it becomes. Here is a brief look with lots of links where you can learn more. The billionaire, religious leader and all-around sketch-ball was allegedly found dead in an apricot orchard near his vacation home in the southern city of Suncheon on June 12th. But many aren’t buying that the body is Yoo. Even in death, Yoo remains as mysterious and controversial as ever. Yoo had been on the run since shortly after the sinking of the Sewol ferry ship that was en route to Jeju Island this past April that killed nearly everyone on-board. It was a screw-up of epic proportions that included a ship exceeding weight capacity and a captain abandoning ship while instructing all passengers to stay put. A high school near Seoul lost nearly all of its juniors in the sinking of the ship. Yoo was once the primary owner of the company that ran the Sewol ship, but authorities suspected he still called the shots. The aftermath has been one horrific event after another. It started when the vice principal of the high school hung himself from a tree near rescue headquarters, then last week a rescue helicopter went down in the middle a major city killing everyone on-board after leaving the sunken boat site and most recently the discovery of, what is believed to be, Yoo’s body. The months after the Sewol tragedy have been unreal, but even the prologue of the story is something out of gothic fiction. Yoo’s dark story begins in 1962 when he and his father-in-law started the Evangelical Baptist Church of Korea, also known as the Salvation Sect or Gunwonpa (구원파). They’ve been classified as a cult because of their disregard for the repentance of sins. They believe that once you are saved, then all sins, past and future, are automatically washed away. 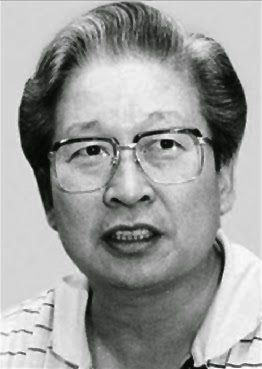 In 1987, Yoo made headlines when linked to the Odaeyang mass suicide. This was a splinter religious group from Yoo’s denomination. The “benevolent mother” of this group, Park Soon Ja, started a “company” that fronted for her religious organization called Odaeyang. She came under investigation for swindling her followers out of $8.7 million and wrecklessly borrowing money. So instead of facing the heat, she and 32 of her followers were found dead by strangulation and poison with no signs of resistance. A story unto itself. Mr. Yoo was suspected of being involved somehow but was never charged. In 1991, the case was reopened after they found a money trail from Odaeyang and some of it’s members to Yoo’s company, Semo Corp. He was then arrested in 1992 and convicted of ” habitual fraud under the mask of religion” mainly because he had colluded with one of his employees to collect nearly $1.15 million in donations from church members. He served four years in prison for fraud. 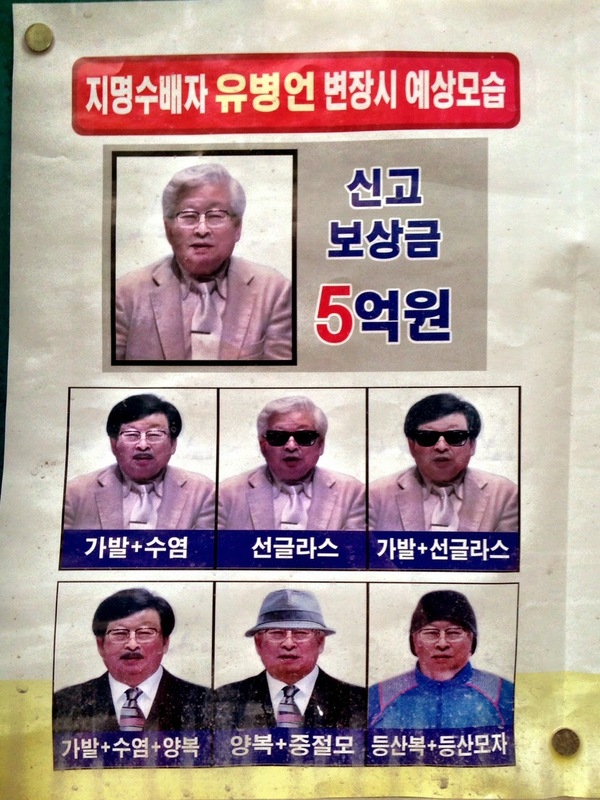 Yoo’s Wanted poster offering nearly 500,000USD for him. So smash-cut to 2014. Yoo’s out of prison, living a relatively reclusive life taking pictures by the millions from his window and posting them under his pseudonym AHAE. Sewol goes down in April and the investigation uncovered massive corruption in the boat’s parent company. Not so surprisingly, authorities claim to have found the long tenticles of Yoo attached to his former company Chonghaejin Marine, the company that owned the Sewol ship. Just days after the Sewol went down, Yoo’s people sent out a press release expressing their sadness and reminding people he had not shares in the company and had focused all of his energy into his photography. Even still, when authorities called him in for questioning, he never showed up By the end of May, they began searching for him hoping to indict him on charges of breach of trust, tax evasion and embezzlement. On June 12th, police stormed his church to search for clues, and they were met by a human barricade of Yoo’s church members. The government offered a reward of nearly $500,000 for Yoo but no one was forthcoming with information. Then finally, this week a body found the very day the church was raided, came back as a DNA match for Yoo. Case closed? 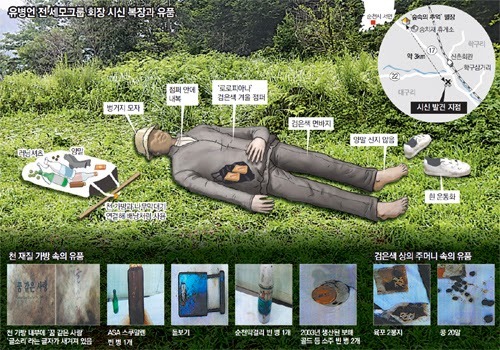 Graphic from the Dong-a Ilbo describing the contents on Yoo. So here are the facts surrounding the corpse. A farmer found the body 2.5 kms from Yoo’s compound. The corpse was wearing an expensive Italian jacket and next to it was a copy of Yoo’s memoir(an eerie and bizarre detail), some alcohol, shark liver oil and a magnifying glass. Police concluded (and seemingly never seriously considered anything else) that this was a homeless man’s body. Working under this conclusion they did not impress upon the lab they sent the corpse to that this could possibly be Yoo. It took the lab 40 days to conclude that it might be Yoo! What?!?! Suncheon’s police chief admitted that the investigation of the corpse “wasn’t perfect” an understatement beyond words. The police chief was fired for not using his brain. Once Yoo became a fugitive he apparently hid under his staircase in Suncheon with roughly $1 million in suitcases. A detail, that in my mind, puts him in the same category as a comic book villain. Then for some reason he left his house, walked 2.5 km with his memoir, and laid down in a field and died. By the time police found him his body was 80% decomposed. What will happen next in this sad and baffling story is beyond my imagination, but there is bound to be something else both shocking and tragic. I have a feeling we haven’t heard the last from Yoo, or that we have felt the last repercussions of the Sewol tragedy. An amazing piece done by the New York TImes on Saturday. Click here.